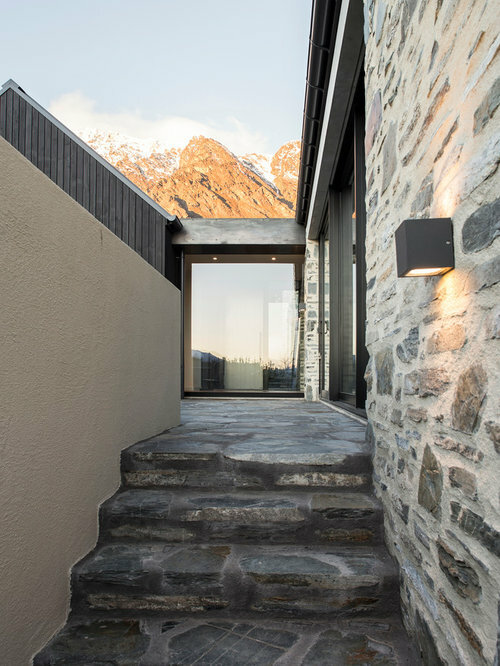 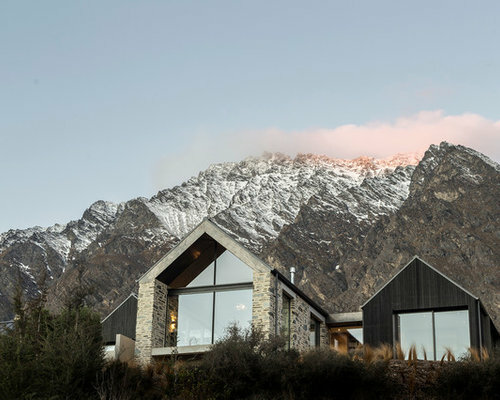 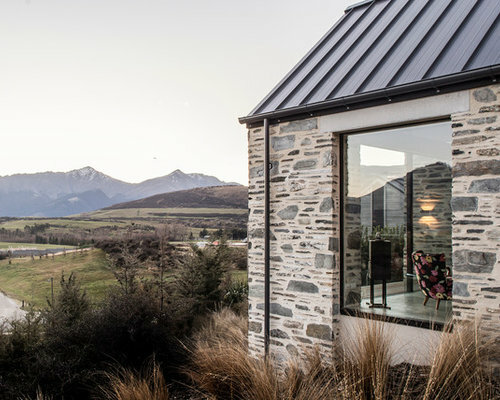 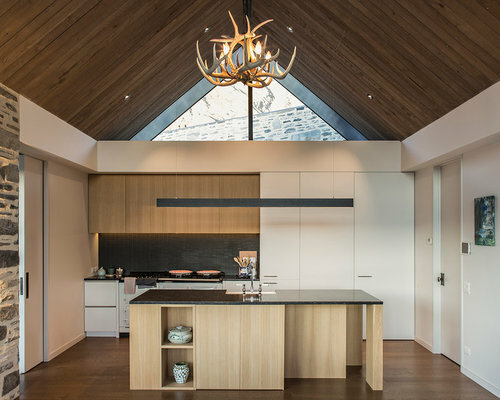 Located on a sloping section at Jacks Point in Queenstown, this 3 bedroom 215 square metre holiday home maximises the spectacular mountain and lake views surrounding the site. 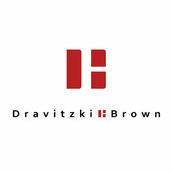 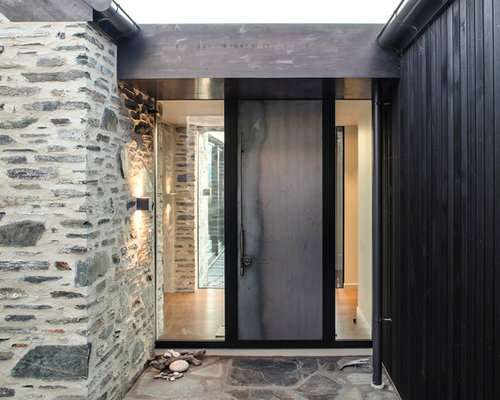 This design is a perfect example of why it is crucial to design houses specific for the site in which they sit. 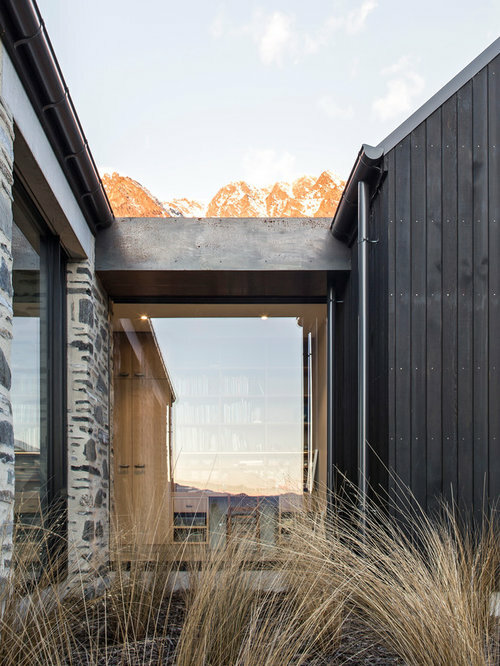 The neighbouring houses and the space left between them have been used in our design to gain extra view shafts and increase sun to the living areas whilst maintaining privacy where required.